HENZ Cricket Neck Guards. Easily attaches to your cricket helmet. Existing helmets currently provide no neck protection for cricketers. 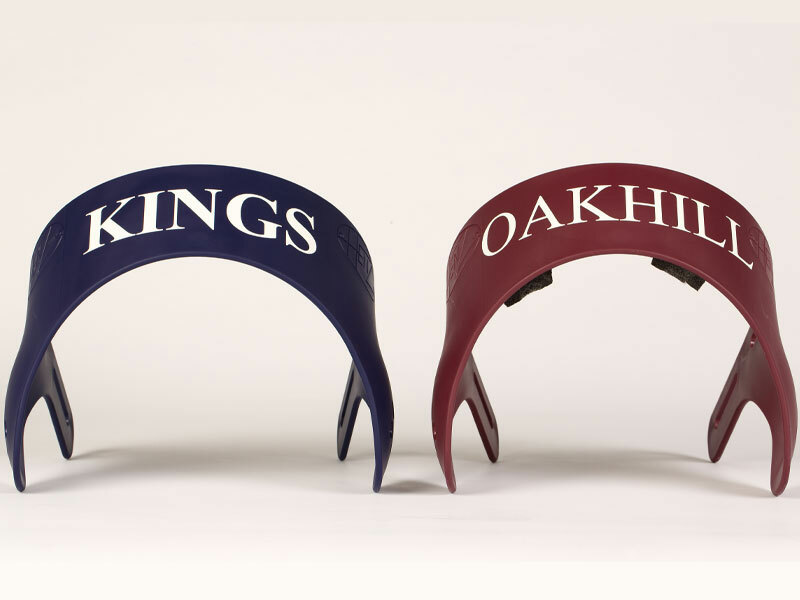 The arrival of the HENZ Cricket Neck Guard heralds protection for the side & back of the neck for all cricketers. Currently, most Australian cricketers from beginners to experienced players, risk fatal injuries from being hit in the neck by a cricket ball. It has been designed and extensively tested to protect the neck area from a ball travelling at speed of 150 kph. Scientific testing conducted by leading sports physicist, Dr. Rodney Cross (Associate Physics Professor, University of Sydney). 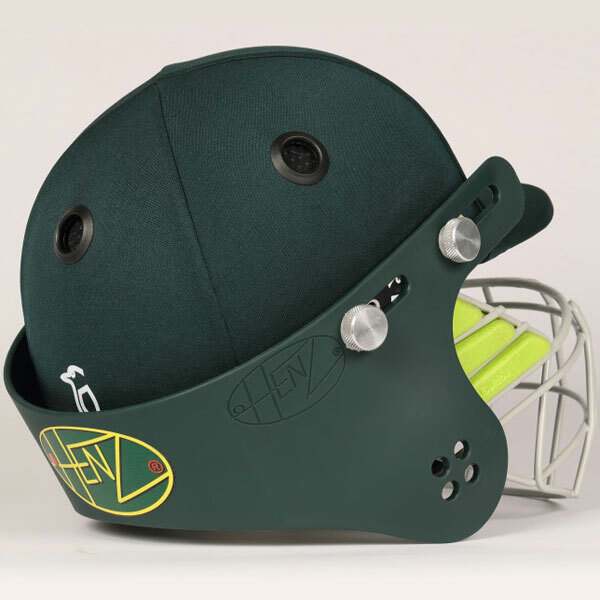 The HENZ Cricket Neck Guard easily attaches to all existing helmet brands which have removable grills and are attached by screws and nuts. The HENZ Cricket Neck Guard are lightweight & allow freedom of movement, it provides protection for batsmen, close to wicket fieldsmen and wicketkeepers as they instinctively rotate their heads if the ball is travelling toward the head. Purchase the HENZ neck guard and helmet combination, or attached the neck guard to your existing helmet. 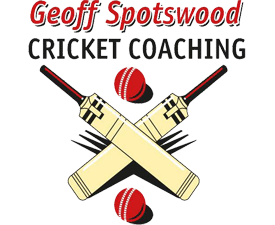 You can purchase your HENZ neck guards via Kingsgrove Sports or by contacting Geoff Spotswood direct on 0409 382 409 / geoff@cricketcoachingclinics.com.au or Nick Geale on 0409 016 766 / nick@henz.com.au. It is also available as a combined unit with helmet (Grey Nicholls & Kookaburra) and HENZ guard. Available in any colour and suitable for boys, girls and adults. 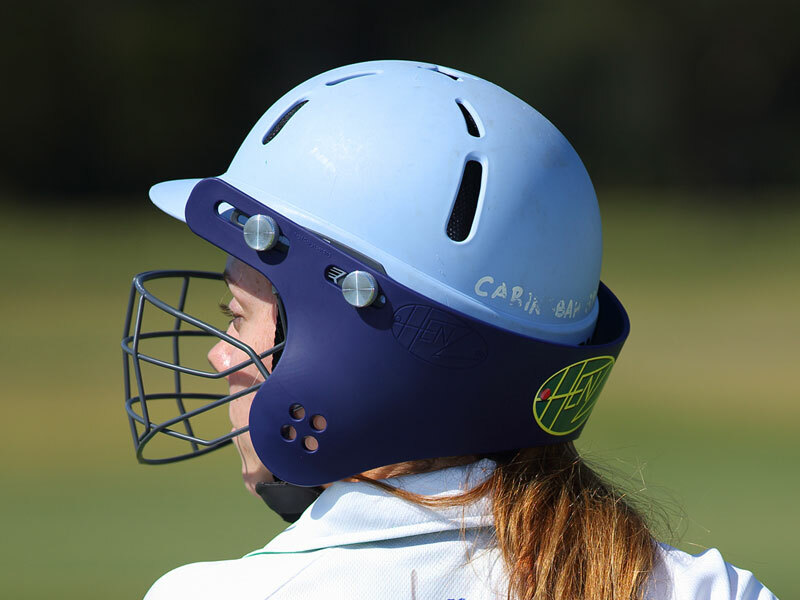 Launched in 2015, the HENZ Cricket Neck Guard has been designed by Nick Geale (former 1st grade & English professional cricketer) and Geoff Spotswood (Level 3 coach – Cricket Australia, former 1st grade cricketer & rugby league player & PDHPE teacher). Both used their extensive cricket experience to come up with the guard’s design and manufacture.